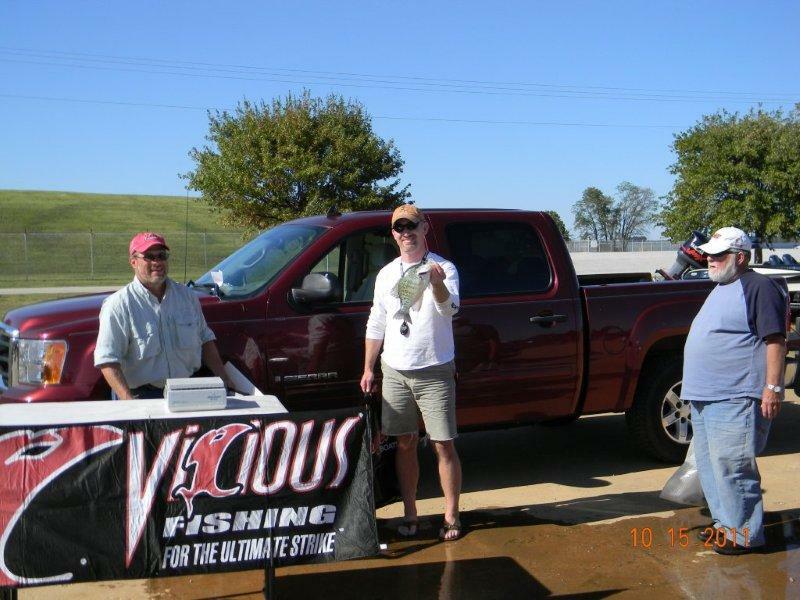 Jimmy and David Mccarley took first place with a total of 7.72 lbs. Team Mccarley practiced every day except Sunday for 3 weeks straight and snatched the points lead by keeping a low profile about how and where they fished. 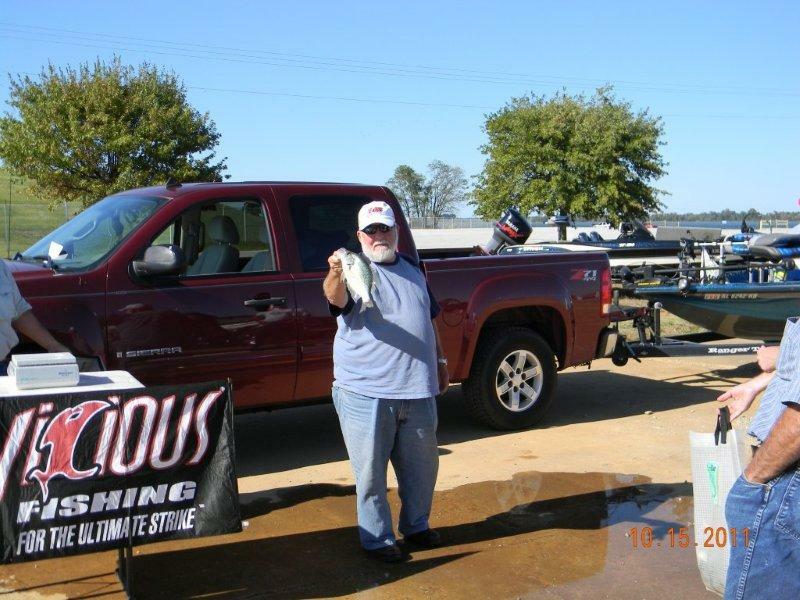 All we know is that Jimmy showed up at the weigh in with his boat in the back of his truck and muddy tires. Darrell Keil took second place. 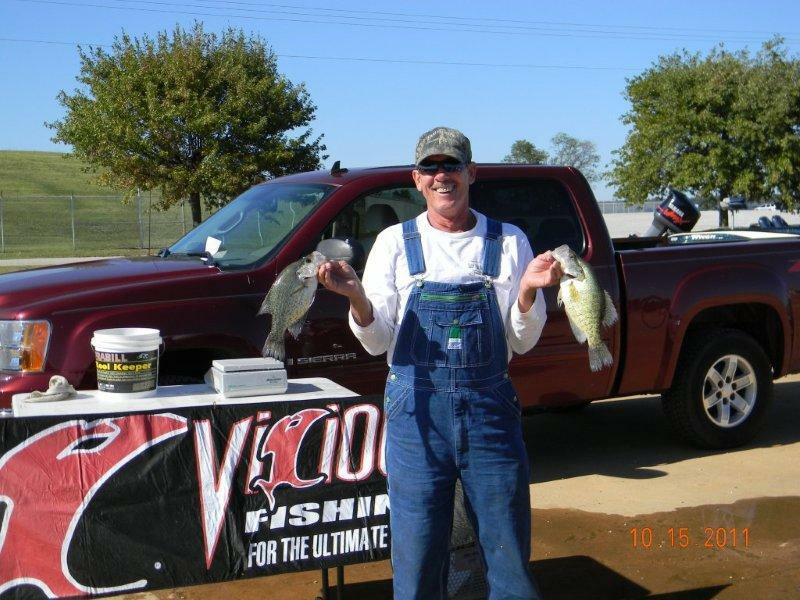 He pushed jigs and minnows under floats in 4-12 ft of water for a 7 fish limit that weighed in at 6.85 lbs. Dodd and Barkley also got in the money by taking third place with a 6.11 pound stringer that included a 2.08 lb kicker which was also good for big fish of the day. 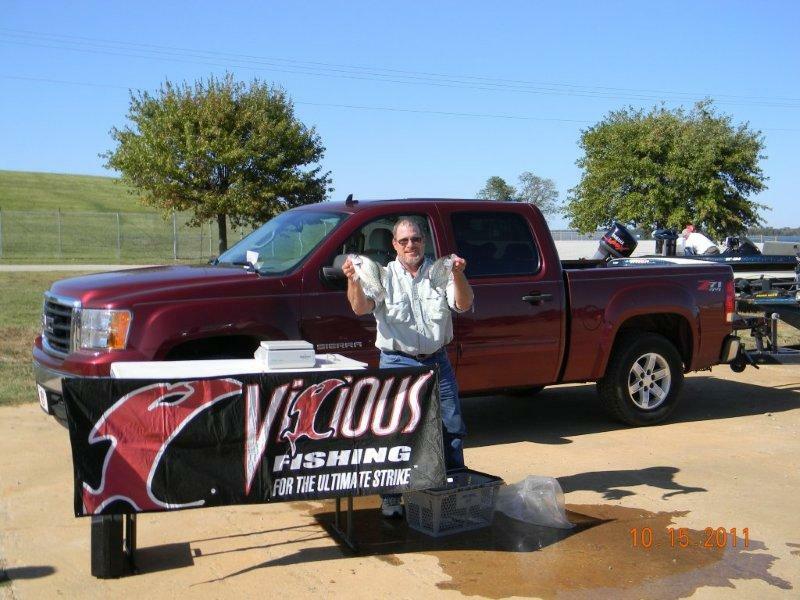 They slow trolled minnows and roadrunners tipped with minnows in 8-15 ft of water. 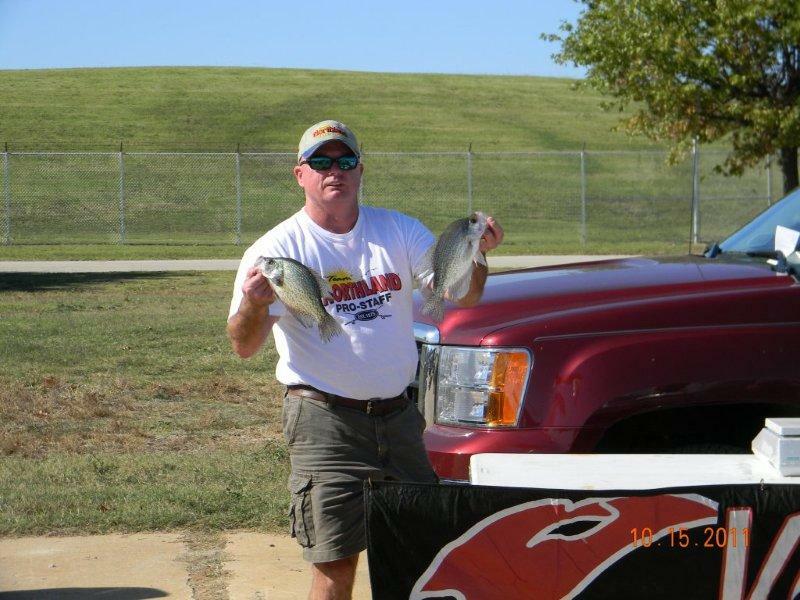 Next event will be on the Wilson Lake on November 19. 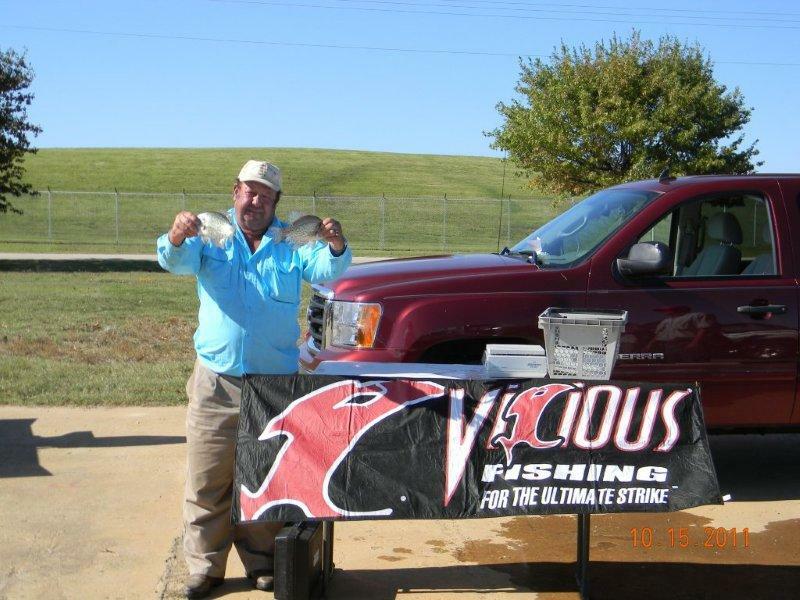 Special Thanks to all of our sponsors including, Bn'M, Vicious and Lake Fork Trophy Lures.